When it matters the most, call the carpet cleaning professionals at Superior Rapid Response, Sarasota, Fl. The technicians employed at Superior Rapid Response take pride in their work and will treat your carpets as if they were their own. They will never recommend a carpet cleaning process that they would not recommend to a family member or a fellow employee at Superior Rapid Response. 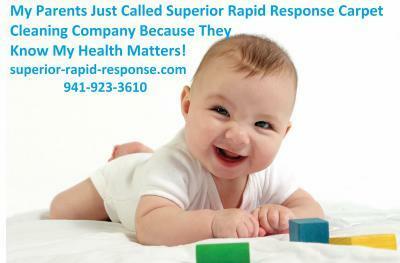 Superior Rapid Response is the premier carpet cleaning company in Sarasota, FL. Our goal is to offer high quality carpet cleaning at an affordable price. Contact us today at 941-923-3610 to schedule your free professional carpet cleaning estimate in Sarasota, FL.